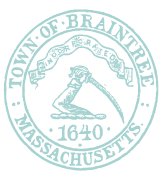 Links to digital special collections from Massachusetts libraries that include local history monographs and pamphlets, a significant portion is manuscript material (personal and organizational papers), photographs, posters, ticket stubs, broadsides, etc. A database of over 600 archive and manuscript collections in Massachusetts. Easily find information on hundreds of the most significant people, events and topics in U.S. History from full-text magazines, academic journals, news articles, primary source documents, images, videos, audio files and links to vetted websites. Easily find information on hundreds of the most significant people, events and topics in World History from full-text magazines, academic journals, news articles, primary source documents, images, videos, audio files and links to vetted websites.